Four newcomers weren’t quite strong enough to unseat The Lion King (in 3D), which held the top spot for the second weekend in a row. 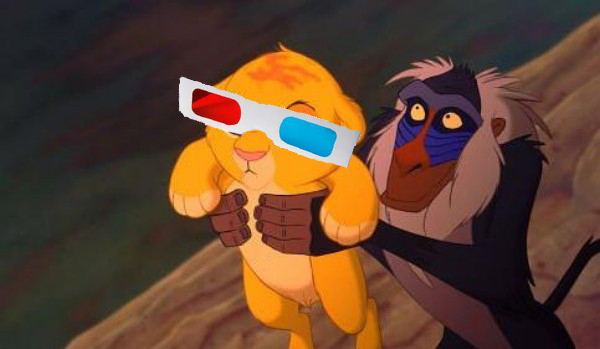 The Lion King in 3D achieved $21.9 million this weekend, bringing the re-release’s 10-day total to $61.5 million. When added to previous Lion King grosses, the movie has now made $390 million, which is good for 12th place on the all-time domestic chart. Many theaters are opting to continue to play the movie past the initial two-week engagement, and therefore it’s now guaranteed to top $400 million and enter the all-time Top 10. Moneyball [Sports Drama 2 hr. 06 min.] Brad Pitt, Jonah Hill, Philip Seymour Hoffman, Chris Pratt, Robin Wright Penn. Dolphin Tale: [Family, 1 hr. 52 min.] Harry Connick Jr., Ashley Judd, Kris Kristofferson, Morgan Freeman. Abduction: [Action, 1 hr. 46 min.] Taylor Lautner, Lily Collins, Alfred Molina, Jason Isaacs, Maria Bello, Michael Nyqvist, Sigourney Weaver. Killer Elite: [Action Thriller, 1 hr. 40 min.] Jason Statham, Robert DeNiro, Clive Owen, Yvonne Strahovski, Dominic Purcell.